Never you doubt that you are. This print, featuring my original writing, is pictured here in black with BEAUTIFUL written in shades of bright pink, but if bright pink is not your thing, you can choose to have BEAUTIFUL written in shades of any color you'd like from my color chart (in the second image). 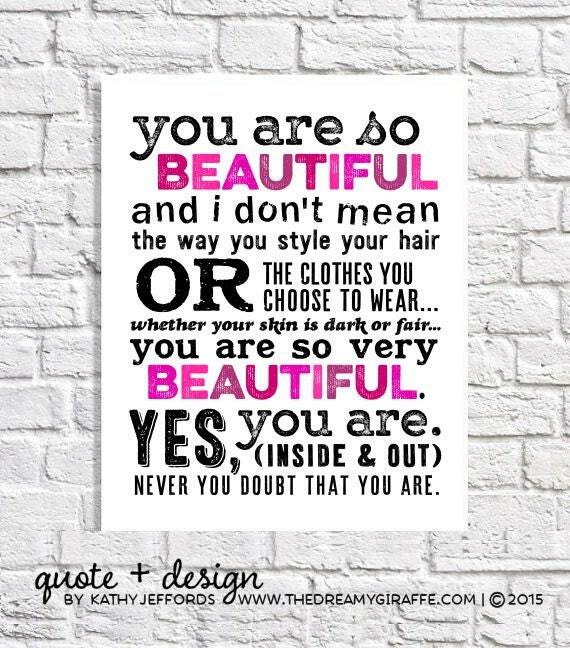 Original Writing + Design © 2015, Kathy R. Jeffords. Copyright not transferable with sale. Please do not post my words anywhere without crediting me. Thank you. This arrived quickly and was exactly what I wanted!